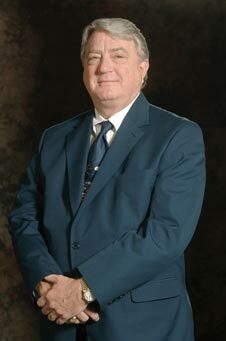 The Luther (Luke) Soules III Award is presented in January of each year by the Litigation Section of the State Bar of Texas, at the Litigation Update Institute. The award is given to an attorney who embodies excellence in the practice of the law and exemplary service to the State Bar. It is designed to recognize Texas legal practitioners who demonstrate outstanding professionalism and community impact. Luther (Luke) Soules, III, was the first recipient. Past honorees include Jim Coleman, Dicky Grigg, the Honorable Royal Furgeson, Kim Askew, George W. Bramblett Jr. and Eduardo Rodriguez Jr., Stephen L. Tatum, and David J. Beck. The next award will be presented at the 2019 Litigation Update Institute. The recipient will attend the Litigation Update as a guest of the Litigation Section, attend the speaker’s dinner with their guest, and an honorarium will be made to a legal charitable organization of the recipient’s choice. The honorarium is in the amount of $1500.00. There is a short ceremony during the Institute and the recipient is given time to make short remarks. Demonstrated commitment to equal justice under law. Conduct promoting the rule of law. Community impact as a result of the practice of law. One or more significant contributions as a result of legal representation. The nominee must be an attorney admitted to practice law in the State of Texas for a minimum of 10 years and be in good standing with the Bar. The nominee cannot appear on a ballot in a contested race for elected office in the same year as nominated for the award. The nominee cannot currently serve as a member of the Litigation Section Council of the State Bar of Texas. Name, address, telephone number, and email for nominator and nominee. Community impact as a result of the practice law. One or more significant contributions to the community where they reside, the State of Texas, or on a national level, as a result of legal representation. Nominations will be reviewed by a select committee chosen by the Chair of the Litigation Section. Nominations must be submitted by December 3, 2018. The recipient of the award will be notified by January 1, 2019 and encouraged to attend the 2019 Litigation Update Institute in Austin, Texas on Jan 17-18 to receive the award. Nominations are emailed to The Person Designated By The Committee Chair. For this year’s award, it will be Rebecca Vela.